St. Patrick's Day! Sunday, March 17th! LIVE IRISH MUSIC ALL DAY! 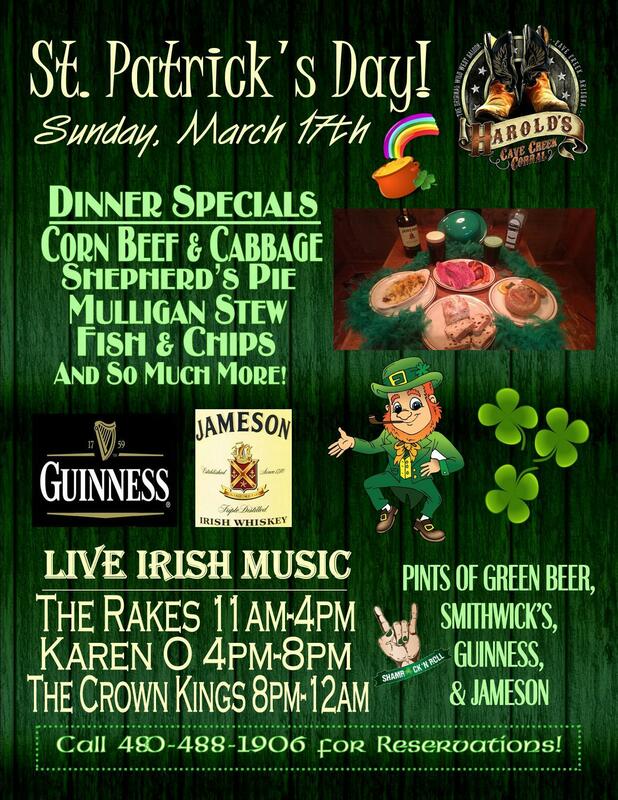 The Rakes 11am-4pm Karen O 4pm-8pm The Crown Kings 8pm-12am Dinner Buffet: Corn Beef & Cabbage, Shepherd's Pie, Mulligan Stew, Fish & Chips, and Much More! Pints of Green Beer, Smithwick's, Guinness, Jameson Irish Whiskey, and more! Call 480-488-1906 for reservations!